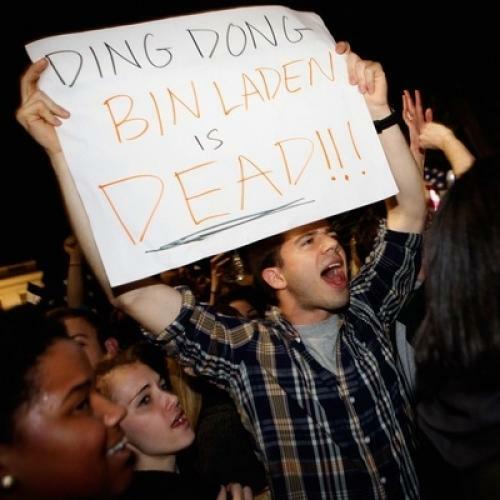 What’s the proper response to the killing of Osama bin Laden? How should we respond to the killing of Osama bin Laden? My first reaction was unbridled joy. As I was crawling into bed (too late) last night, I giddily allowed myself to sing, “Ding, dong, the wicked witch” from The Wizard of Oz. One interpretation of this midrash is that whatever may be the case for the Angelic Host, restraint at the defeat of one’s foes is too much to ask of mere mortals. Another, more rigorous interpretation is that we are always called upon to fortify, as best we can, what Lincoln called the “better angels of our nature.” On this reading, which I prefer, we humans are at our best when we do not shrink from the harsh acts the struggle against evil requires, but perform them with the regret they deserve. While killing other human beings who are made, we are taught, in the image of God may be a disagreeable necessity, it is never an intrinsic good. Patriotism may call upon us and our leaders to do what is necessary, but it neither requires, nor even permits us, to revel in the deed. Soldiers understand this in their gut. President Obama’s speech was a model of sobriety and restraint that we would do well to emulate in the days ahead.